Vitamin B2 deficiency symptoms are important to recognise because the condition left untreated can lead to heart and lung complications. The vitamin is important for many body processes. If it’s in short supply the body won’t make as many red blood cells and they will be abnormally large. The red blood cells also won’t last for as long as they should. Anaemia can lead to heart and lung complications as the heart struggles to pump oxygen to the vital organs. Vitamin B12 deficiency is easily treatable and you can avoid complications by recognising the symptoms as early as possible. So what are the signs you need to watch out? One way of recognising if you have the condition is to look at your tongue. Vitamin B12 deficiency can cause glossitis, which means soreness of the tongue. It can also make your tongue painful, smooth and shiny. But this isn’t the only sign of a vitamin B12 deficiency to watch out for. According to Bupa, other symptoms include feeling very tired, breathlessness even after little exercise, heart palpitations, headaches, and a reduced appetite. So how can you avoid a vitamin B12 deficiency happening in the first place? The body doesn’t make vitamin B12 but the best way to get it is from a balanced diet. There are specific vitamin B12-rich foods health experts recommend you eat. Holland & Barrett lists six. 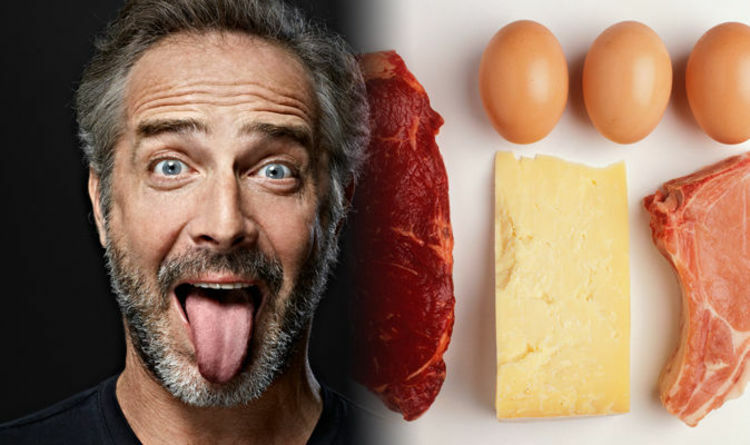 Beef, pork, eggs, milk, cheese and fish are all good sources of B12. The high street health store adds: “If you are vegetarian or vegan, it may be that you aren’t able to get enough B12 as you are excluding those food groups. Alongside recommendations for changes in their diet, people with vitamin B12 deficiency anaemia may be treated by their doctor with injections of vitamin B12 or given tablets. Another food you may want to consider adding to your diet to prevent a vitamin B12 deficiency is cottage cheese. Dieticians of Canada says a 250ml (one cup) of cottage cheese contains 1.1 to 1.5mcg of vitamin B12. The website adds: “Some soy and rice beverages as well as soy based meat substitutes are fortified with vitamin B12.